“The Lord says, “Shout and rejoice, O beautiful Jerusalem, for I am coming to live among you.” (Zechariah 2:10, NLT) And being true to his word the Jesus born a baby in Bethlehem made a not-so-grand entrance into the world of Jerusalem. And now all these years later the spirit of Zechariah’s prophecy continues to live in the hearts of anyone who answers the hunger for a relationship with God. I was in my mid-twenties when Jesus made a not-so-grand entrance in my life. I celebrated his birth with rehearsing the Christmas story, with festive decorations, by exchanging gifts but then slowly the birth of Jesus began to take place in my heart. The Advent Season is said to be a time of preparation for the birth of Jesus but for me it is a time of reflection, a time of searching, a time of anticipation, a time of readjusting priorities. And now in 2013 I find myself hungering for a deeper relationship with Jesus. Over the past several months my need for that deeper relationship and for the last week or so I have found myself asking some questions I’ve never considered. How am I getting in touch with the longing within me? 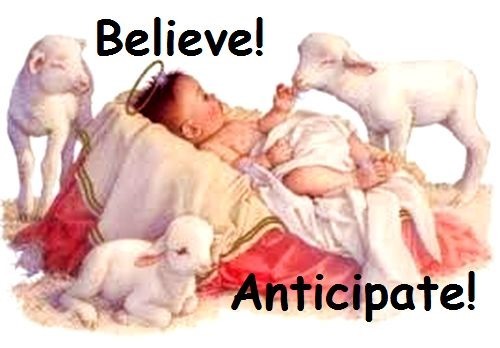 In what new ways can Jesus’ birth over 2,000 years ago have a positive impact on my life in 2013 and beyond? How can I prepare myself to re-experience his coming into my life this year? In what ways am I being invited to trust more deeply? In what ways does his coming in the midst of the darkness in our world light my path? In what ways can I renew my life and commitment to God so I can be prepared to greet him when he comes again? I am not sure whether those questions or ones similar are on your mind this year or not but over the course of my life I have come to the rock solid conclusion that: “This Jesus Stuff is the Ultimate Stuff of Life!” So please join me as together with the Holy Spirit we dig deep into how Jesus’ birth impacts our lives. Will we answer all questions I suspect not but it is in the seeking answers that Jesus will impact our lives. Come, Lord Jesus! Come into our lives. We anticipate re-experiencing your birth. Come, O Lord. This” Mary pondering “is one of my favorite Christmas scriptures, as a mom I often ponder over my four, and one in-law and a grandson, it wow to ponder over God that is so awesome and big and special ! !